Using this medium, the Dailyschoolnews Nigeria team wishes to inform and notify the general public, that the 2019/2020 Federal University, Oye-Ekiti, Fuoye Post UTME Registration, Cut off Marks and Screening Date has been released by the school management board. According to information we gathered, the school is inviting all candidates who chose the Federal University Oye-Ekiti, and scored 180 and above in the just concluded 2019/2020 Unified Tertiary Matriculation Examination (UTME), that the 2019 Fuoye Post UTME form is now on sale. i. 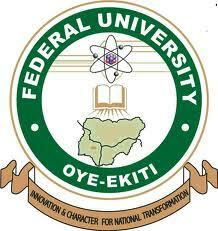 Candidates who applied to Federal University Oye Ekiti and obtained UTME cut-off score of 180 and above. ii. FUOYE accepts candidates who scored 180 and above in UTME. All candidates who obtained the UTME cut-off scores of 180 and above and chose the Federal University Oye-Ekiti as their first choice are qualified and eligible for the Post UTME. Each candidate of the academic institution will be required to pay the sum of Two Thousand Naira (N2,000,00) only, however, this will exclude the bank charges as Registration fee. Payment could be made through e-transact or inter-switch. Candidates are advised to visit any bank and pay through the e-Transact platform. When you have successfully made payment, you will receive a printout with receipt number and confirmation-order. You are to visit the Federal University Oye-Ekiti official portal www.fuoye.edu.ng and click on the post-UTME link on the homepage. Proceed and go to payment portal section and insert the details received from the bank and this will enable you access to the Application Form. • Visit the school website by Clicking Here and click on Post UTME Link from the University home page. • When the post utme link loads up, then you can proceed and click on Post UTME Fees and Proceed to Payment using the details on your Debit Card. • After that, you can then proceed and enter your Debit Card PIN and click on PAY, this will enable you access to the Application Form. All applying candidates are advised to download dint POST UTME Application Forms after submission and bring them to the venue for screening on the day of their examination, this will be used as verification that you have successfully registered and pay your fee. → Ensure that you use exactly the same names (and in the same order) as used on your JAMB Registration Form, using different name, or any other details which are different from your jamb registration form might get you disqualified. → Ensure that you submit a valid e-mail address and a valid phone number in your Registration form. → All registered Candidates are requested to visit this website (dailyschoolnews.com.ng or the school website www.fuoye.edu.ng for their scheduled date of examination. Come with your Application Form. Candidates who arrived at the venue of screening after 30 minutes of the commencement of the test will not be allowed to take the test, and this means automatic disqualification. Candidates who made false declaration of UTME score and Ordinary Level Grades (SSCE, GCE, NECO or NABTEB), as well as State of Origin, will not be considered for admission. → B. Engr. Mechanical Engineering. All Candidates who applied for BIOTECHNOLOGY in JAMB should choose from any of the courses below as FUOYE no longer offers this course. Applicants that do not strictly adhere to the instructions above will be disqualified. Only enquiries not clarified by the above instructions should be addressed to admissions@fuoye.edu.ng.